Great portability, awesome sound, improve your scratching skills. 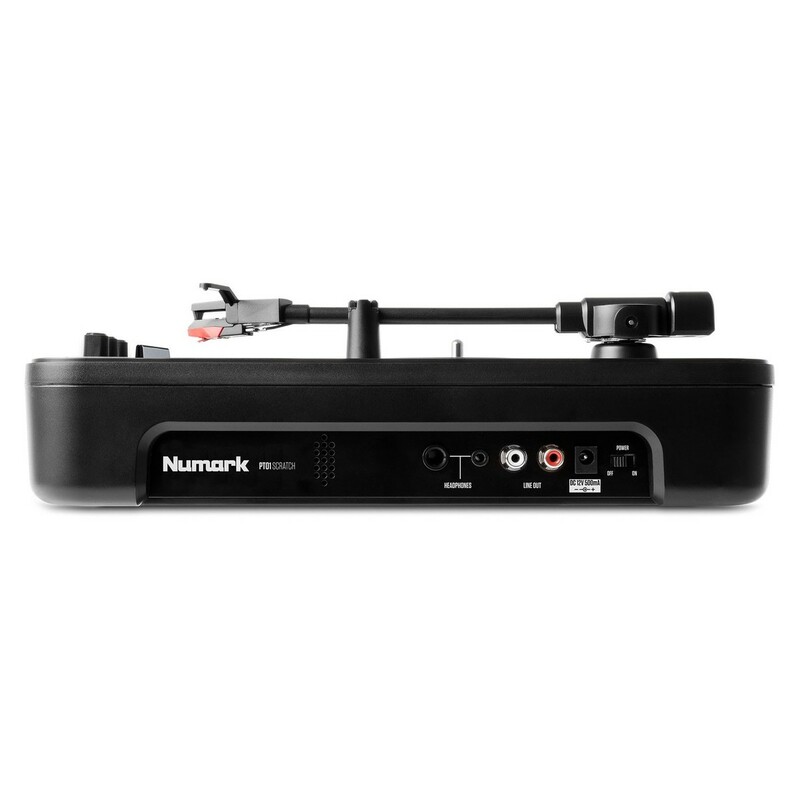 The Numark PT01 Scratch allows you to move away from the tedious restraints of cables and electrical outlets, allowing you to practise and play wherever you are, whether it be indoors or outdoors. The adjustable scratch switch accommodates both right handed and left handed turntablists, perfect for every DJ out there. The special non-slip cartridge system ensures the PT01's stylus stays in contact with the record's groove even under virtually any condition, ideal for heavy scratching. The PT01 Scratch also features a built-in speaker, eliminating the need for an external sound system, making it truly portable. Additionally, the PT01 comes complete with a protective carry case and a removable slip-mat. 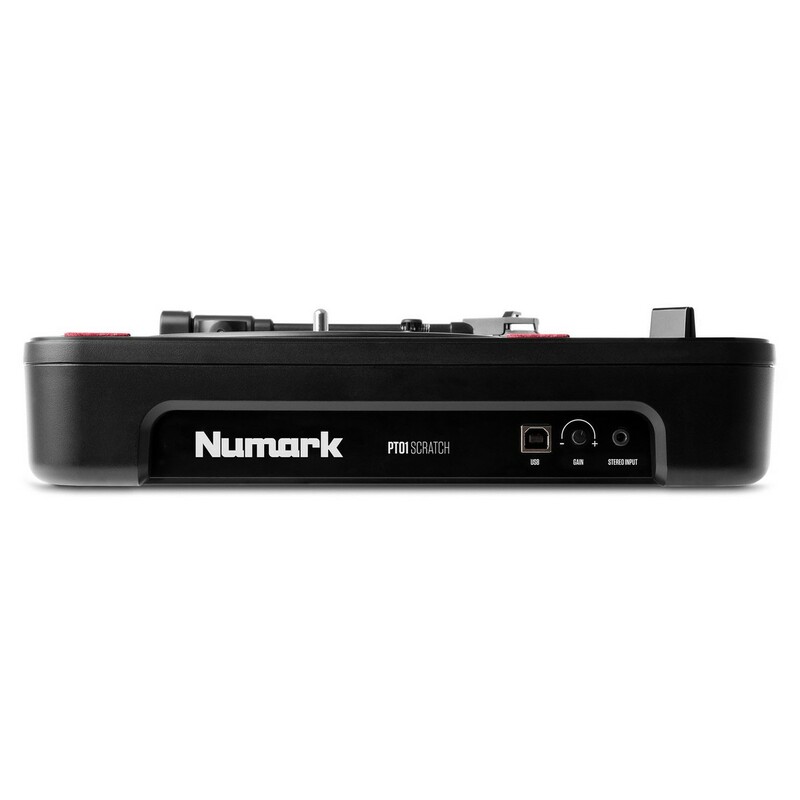 The Numark PT01 Scratch is built for ultimate portability, allowing you to practise and perform scratching anywhere you go. The PT01 scratch eliminates the need for an electrical outlet or an external power supply thanks to its battery-powered functionality, allowing you to take the turntable on the move with you anywhere. When batteries are not available, it also features a AC wall adapter, allowing you to plug your turntable into the wall for a more permanent power supply. One of the most unique and prominent features of the PT01 is the built-in speaker. This built-in speaker eliminates the need for external speakers, allowing you to setup and perform anywhere you go. 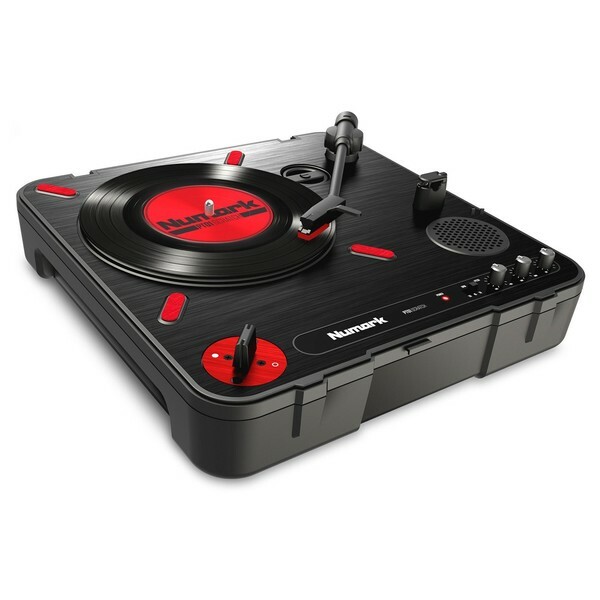 The PT01 Scratch features the industry’s first adjustable scratch switch on a portable turntable. This adjustable scratch switch gives the user the ability to create their own custom scratch effects and add them to their performance. The adjustable scratch switch accommodates both left and right handed uses, making it suitable for all turntablists. The PT01 Scratch also features a non-slip cartridge system which secures the stylus in place while in use, regardless of the playing angle or any external vibrations. This makes scratching easier than ever before and ensures the stylus will remain in place even under the heaviest vibrations. In addition to its built-in speaker and AC wall adapter, the PT01 Scratch also features digital and analog connectivity for connecting the turntable to external devices. One of the most useful connections is the built-in USB which allows you to record audio from your turntable directly to your computer. This allows you to make recordings of your scratches as well as converting audio to a digital format for added versatility. RCA outputs have also been included so you can connect the turntable to external speaker, ideal for practising at home. Additionally, the PT01 Scratch features a headphone jack for private listening and practising, perfect for late nights and in quieter environments.